As revealed on a conference call by Disney CEO Bob Iger (via Investors.com), Disney+ is launching in the US – other regions haven’t yet been confirmed – in “late 2019”. Outside of that, an exact release date hasn’t been confirmed, nor has a monthly subscription cost. But what good is a plus if you don’t have some exclusive content to parade around? Step forward the Star Wars: Rogue One prequel. 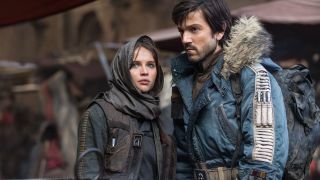 Diego Luna returns as rebel Cassian Andor and, in a statement on StarWars.com, mentions that “we have a fantastic adventure ahead of us, and this new exciting format will give us the chance to explore this character more deeply”. No Jedi, no Jedha, and no Jar-Jar. That sounds like a breath of fresh air to me. Star Wars has always pretty much played it safe, so it’ll be great to see the franchise explore some new genres, especially alongside the Western elements of The Mandalorian TV show. If that wasn’t enough, the previously-reported Loki TV series has also been confirmed. Goodbye free time, Disney Plus is here. That Rogue One prequel will surely fit nicely alongside the big batch of new Star Wars movies on the way over the next few years.